The Triangular Fibrocartilage Complex (TFC or TFCC) is a very common source of pain on the ulnar (small finger) side of the wrist. The Triangular Fibrocartilage Complex is a constellation of many structures that support the Triangular Fibrocartilage Proper. 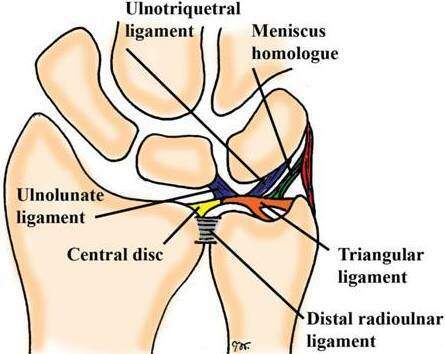 The Triangular Fibrocartilage is the main ligament that stabilizes the Distal Radio-Ulnar Joint (DRUJ). The DRUJ is the part of the wrist joint that lies between the two bones of the forearm (the radius and ulna) and allows forearm rotation. The TFCC also functions as a shock-absorber for the wrist, like a meniscus in the knee. 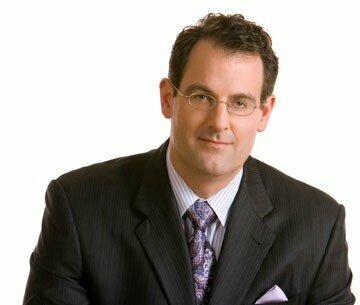 The TFCC may be injured by a fall, sports injury, car crash, or other trauma. TFCC tears are especially common with Distal Radius wrist fractures, and are often the main cause of wrist pain after the Distal Radius Fracture has healed. Sometimes, the TFCC can get worn through over time and tear without any injury if the ulna bone (the forearm bone on the small finger side) is longer than the radius (the forearm bone on the thumb side). This relatively long ulna puts a lot of pressure on the TFCC during forceful wrist use. TFCC tears can lead to inflammation in the wrist, as well as arthritis and instability of the DRUJ. Unfortunately, MRIs are not very accurate in diagnosing TFCC injuries, which are better diagnosed based on a good history and physical examination performed by a Hand Surgeon. Non-operative treatment starts with a splint, a steroid injection, avoiding forceful forearm rotation (as when using tools) and avoiding putting weight onto the extended wrist (as when doing push-ups, pushing to get up off the floor, out of a pool, or pushing a heavy door open). If weight-lifting is performed, use a splint to keep the wrist in neutral and out of extension. Despite what you may see people doing at the gym, heavy weight lifting should be done with the wrist straight, not extended backwards. 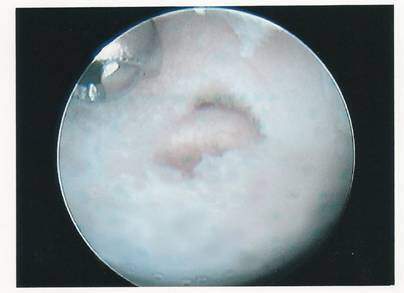 If non-operative management fails to relieve the pain from a TFCC tear, a surgical solution can be considered. There are a couple of factors to be considered in planning surgical treatment. These include whether or not the DRUJ is stable and the length of the ulna. Wrist arthroscopy should always be undertaken for TFCC tears. Any flap of torn TFCC that is irritating the wrist and causing inflammation, analogous to a pebble in a shoe, can be removed arthroscopically. 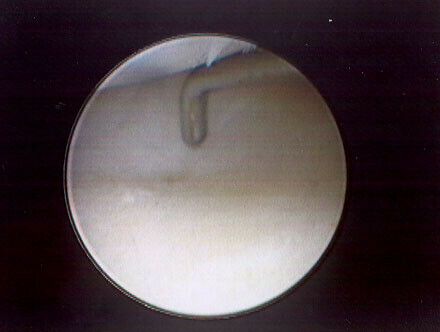 If the DRUJ is stable, arthroscopic debridement (clean up) or repair of a TFCC tear is sufficient. However, most people with TFCC tears have pain because their DRUJ is unstable. In these cases, an open repair through a small incision is the most effective treatment. The results from these surgeries are usually very good. While arthroscopic TFCC repairs usually require immobilization in an above-elbow cast for 4 weeks, open TFCC repairs are much stronger, and only require an above-elbow splint to be worn for 1 week. Then therapy is started, and a short removable splint that allows for showering and range of motion exercises is used for another 5 weeks. Often times, the TFCC injury is either caused or exacerbated by the ulna being longer than the radius. In these cases, the ulna may have to be shortened to prevent the TFCC from re-tearing. 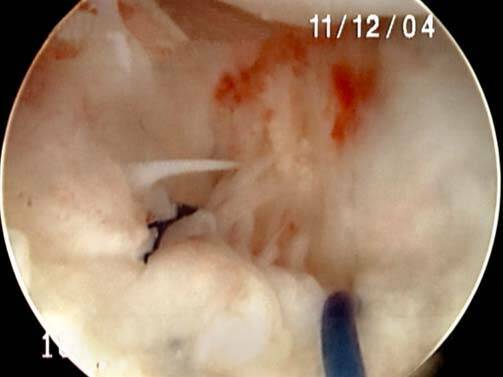 The ulnar shortening can be performed at the same time as the TFCC repair. If the degree of ulnar length discrepancy is marginal, a TFCC repair can be done without ulnar shortening, and an ulnar shortening performed later on if pain persists. While there are different techniques for performing an ulnar shortening osteotomy, the most predictable is done through the ulnar shaft. During this outpatient procedure, a small segment, usually 2-4 mm, is removed and a plate is applied to stabilize the ulna while it heals. A below elbow cast is worn for 6 weeks and heavy activities are avoided until the ulna heals, which is usually 3-4 months. Smoking delays healing, and is best given up before having this procedure performed. In summary, TFCC tears are very common and they can be effectively treated with outpatient procedures.